For any person with an interest in reading Scripture, it won't take long before they will need to wrestle with the problem of violence in the Bible. 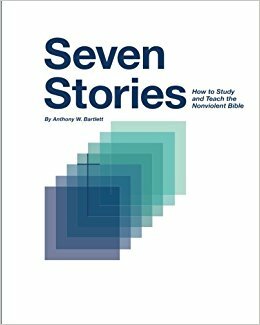 Enter Seven Stories, where Anthony Bartlett presents a case for a progressive reading of the Bible culminating in the nonviolent revelation of God fully revealed in the person of Jesus Christ. This is an impressive work in every aspect, the design, layout, images and colour are all very easy on the eye. The various chapters/lessons all include questions designed to stimulate further thought and discussion, personal reflection, glossaries, cultural references, resources and space for making your own notes. Before I had even started reading, I found myself paging through the book and just admiring the layout and pictures, something that one hardly ever even notices in most works. Tony Bartlett has a reputation for being a leading Girardian scholar which is evident throughout the book; but what really impressed me was the amount of overall historical and theological knowledge presented and how everything is continually brought back to Jesus. To give one example, a link is shared between the reunion of Jacob and Esau and Jesus' story of the Prodigal Son. The Prodigal Son story has always being a favorite of mine in that it reveals Gods true nature to us as Jesus wanted us to see it. Among other similarities, both stories have sons who receive their inheritances fraudulently, in both the younger brothers leave for distant lands and in both the brothers are received back not with revenge but with kissing and weeping. Jesus borrows the exact same phrase in Luke 15 of hanging on someones neck which is used in the Genesis narrative. 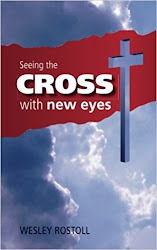 It is in Esau's compassion and acceptance that Jacob sees Gods face (Genesis 33:10). This is just one of many examples that I found beautiful to read. Honestly, I cannot think of many books that have challenged and enlightened me as much as this one. When turning the final page I immediately wanted to start reading from the beginning again as there is still so much that I am chewing on. Although the book can be read alone, it is perhaps more suited to a small group study which I hope I can try at some point as well. Trust me, this one is well worth your time. You can purchase a copy of Seven stories by clicking over here.